You don’t have the ‘government’ you think you have! IN FACT, IN THE UNITED STATES WE HAVE TWO ‘DE FACTO’ GOVERNMENTS RUNNING CONCURRENTLY – ONE BLATANTLY CRIMINAL AND ONE LESS-SO. AND THE CURRENT GULF OF MEXICO DISASTER EXPOSES BOTH! The government we believe to be in force in our country, the Constitutional Republic, is currently lying dormant. The visible government we see on TV and go to the polls to ‘elect’ is actually a Democratic-Federal Franchise also known as USA INC which includes a CEO; the President of the United States. He even has his own flag. It can be seen behind him when he makes speeches and found in any courtroom in our country. When this flag is flown in a courtroom, you know under whose authority the court is being conducted. 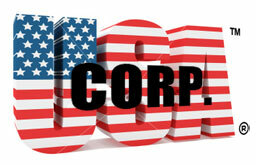 USA INC can also be referred to as government Of the Corporation, By the Corporation and For the Corporation, which is the actual nature of a Democratic-Federal Franchise. Above USA INC in authority is the other ‘defacto government’ known as ‘The Secret Government’. This is an extremely vicious and dangerous cabal of Dons, Dames and banksters (who believe themselves to be elite) and is run like the mafia – only more ruthlessly. At the moment ‘The Secret Government’ uses the CIA & Mossad and functions outside of the law. They have started (and profited from) nearly all of the wars and control the world’s deadliest weapons. They also profit from the illegal drug industry, which is why there is no real public discussions of legalizing drugs. It is easier to understand why British Petroleum is allowed to continue to poison the population by using Corexit, when you understand that the government Of the Corporation, By the Corporation and For the Corporation (USA INC) has no real responsibility to protect We the People  – AND – it is now under the control of the banksters and ‘The Secret Government’. The last US President to challenge the CIA or the ‘private’ Federal Reserve was JFK. To eliminate USA INC and return to a Constitutional government will not be an easy feat to accomplish, however there are many honorable folks who understand this dichotomy and are dedicating their time [and risking their lives?] to achieve this goal. But, to eliminate ‘The Secret Government’ will be a much more difficult task. They are heavily armed and can (and do) steal whatever resources they need to continue. All suggestions for taking out ‘The Secret Government’ are welcome. And radio talk show host Alex Jones is calling for We the People to initiate grand juries to prosecute guilty parties. An excellent idea! See: Grand Jury Power – Take it Back! Also, as Ben Fulford reported on Rense radio, let’s not forget that there are ‘white hats’ behind the scenes attempting to defund and remove the criminal cabal who is holding our country hostage. Perhaps we could think of these ‘white hats’ while we watch the July 4th fireworks and pray for their success. This entry was posted in corruption, Government and tagged corexit, defacto, Gulf disaster, secret government. Bookmark the permalink. Let’s not forget the CDC as they plan on vaccinating the entire population with worthless dangerous vaccines . . . for profit! Also lets add into the mix our local governments and their CAFR accounts that they conveniently don’t tell the public about as they relentlessly increase our taxes! WIDESPREAD EXPOSURE of their names and deeds to the people is the KEY to destroying the satanists. Current and former employees of the CIA, FBI, DOJ, NSA, and the other alphabet agencies along with their multitude of dastardly deeds needs a FLASH widespread exposure for about a month. Keep “OUTING” THE POPE and the Vatican for their rampant peodophelia and “sacrifices”. The Vatican is a MAJOR player in the Secret Government. Great article. First, remove Admiral Thad Allen, the spokesman for BP. The military should NOT be backing up this atrocity. Next, proceed with prosecuting the Lis Pendis. Some of the power brokers are getting very “old” like Bush Sr., Kissinger, many others. Time for them to go…..for good. Destroy the clone factory. Insure Kagan doesn’t get on Supreme court. Get control of the bribe list and files that Bush Sr used to blackmail congress. Where are the hackers? EMPTY OUT ALL THEIR BANK ACCTS. Where are the hackers? Insure all their dirty laundry gets aired on the internet — FAST, before they can squelch it. Perhaps through wikileaks. Circulate the complete list of secret govt names and addresses on the internet (along with their children’s names and addresses) in the event of civil strife. GO AFTER THEIR WEALTH, THEIR CHILDREN AND THEIR GOONS.